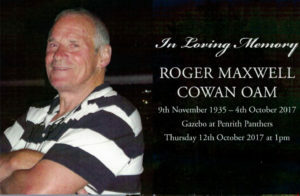 The Big Panther Has Gone But Will Never Be Forgotten – VALE: Roger Cowan | Bloggin' White Now !………. 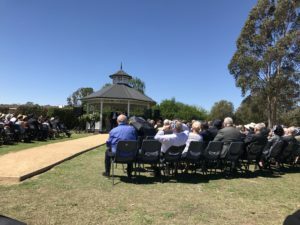 Thursday 12th October 2017 saw the final farewell to Roger Cowan OAM. Roger was CEO of Panthers for 40 years up until 2005. I was so honoured to be at Roger’s Memorial amongst those who knew, loved and admired this great man. Roger took Panthers from an average team operating out of a ‘shed’ to be the leading club in NSW which Roger grew to eventually oversee 14 clubs within the group. I learnt at the Memorial Service that Roger was Dux of his school (no surprises there) and School Vice Captain. 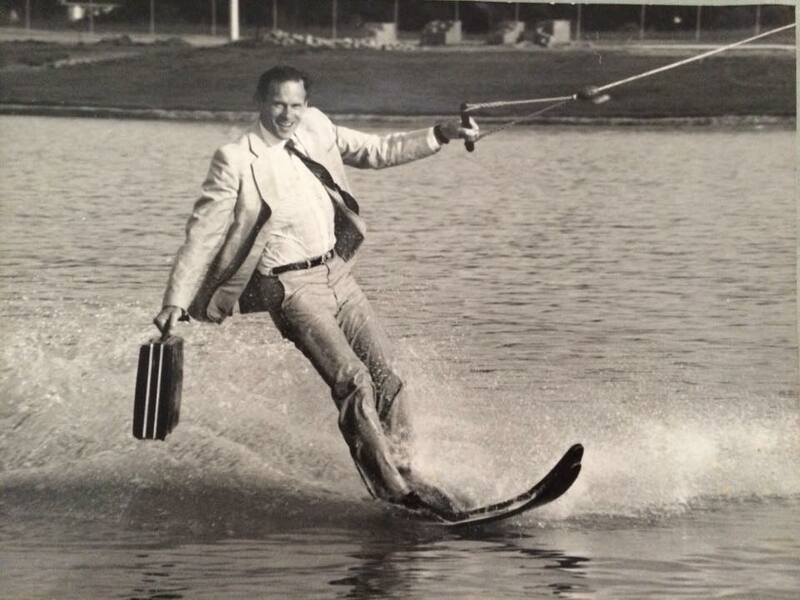 He was an achiever and a leader from the get-go. It was a tribute to Roger and testimonial to his achievements that his ceremony was held on the property that he built and where he showed his core principles and values for so many years. As I listened to incredible tributes from Greg Alexander, Barry Walsh, Max Cowan, Glenn Matthews (read by a representative as Glenn was overseas) and by far the most important speakers of all, his Grand kids, I reflect on some of the words that resonated with me and really showed who Roger was. “Roger just made things happen”. “Roger put Penrith on the map. He had the vision to buy the land”. “If it was good for Penrith then it was good for Panthers”. Roger built Panthers, the team and the club to be the largest in the State. In 2017 Panthers employs over 1000 people and sees 2.5 million people walk through its doors annually. What an achievement. Up until about 2005 I knew Roger as a client but in a client/supplier sort of way. I was always a bit hesitant of him because of who he was. I think I was in awe of this icon, so was perhaps a bit nervous around him. 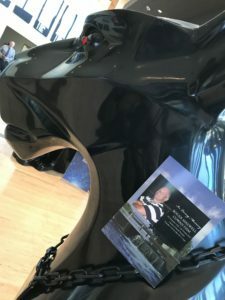 As I grew in my business and Roger watched my business grow from the outside, we grew to trust each other and assist each other in different ways. I was so privileged to spend many hours in the car with Roger visiting clubs as we were working on projects together. I got to know Roger ‘the person’. I spent hours bleeding him dry of his business tips and business philosophy. What I found amazing though was that he also spent much time asking me about my business philosophy and successes. He used to comment on some of my ideas with “I think that is very wise. I will use that”. Imagine that – Roger Cowan listening to me and taking advice from me. Trust me though, if we were putting percentages to the advice I gave him vs the lessons and advice he gave me it would be 2% vs 98%. I used to bring my own lunch on our road trips to save me $10 a day (which I still do to this day). No matter what I did though, I could not convince Roger to do that. He used to sort of shake his head at me every time I would get my lunch bag out, well not shake, more that he would nod knowing that I was never going to change. We had some laughs but more importantly we had great respect for each other and to me, he will always be someone that I had such admiration for. I really did see his values and his passion. I still see those traits in his kids Max and Steve – I call them kids as they will always be ‘Roger’s sons’ and gee they must be oozing with pride. 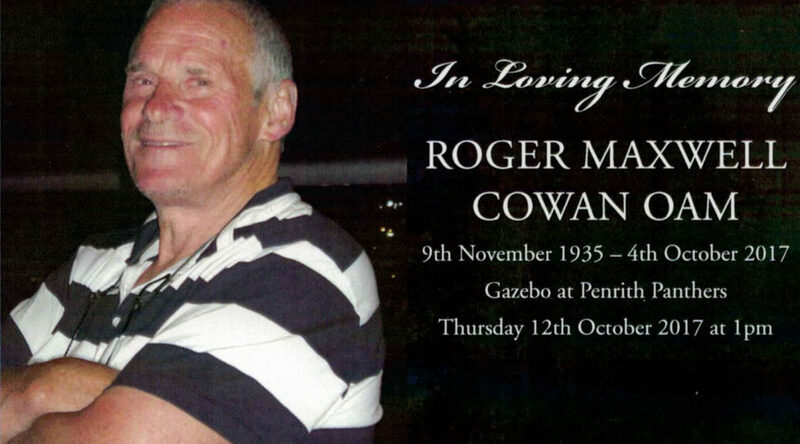 Thank you to all those who really cared for Roger since his stroke. Those who visited him and gave him such comfort. Special mention goes to his wife and family, to Barry Walsh and Glenn Matthews (affectionately nicknamed by me as the Little Panther) who often visited him and to Rhonda Bowen and her partner Michael who were tireless in their efforts to support Roger in so many ways through his past few years. Last but not least I want to thank Roger Cowan OAM for paving the way for all those in our industry, not only the Football Club industry but all registered clubs. He did so much across all areas of his life and he did so with humility and love for his teams and his family. Thank you for treating every one as equal and for leaving this world a better place. 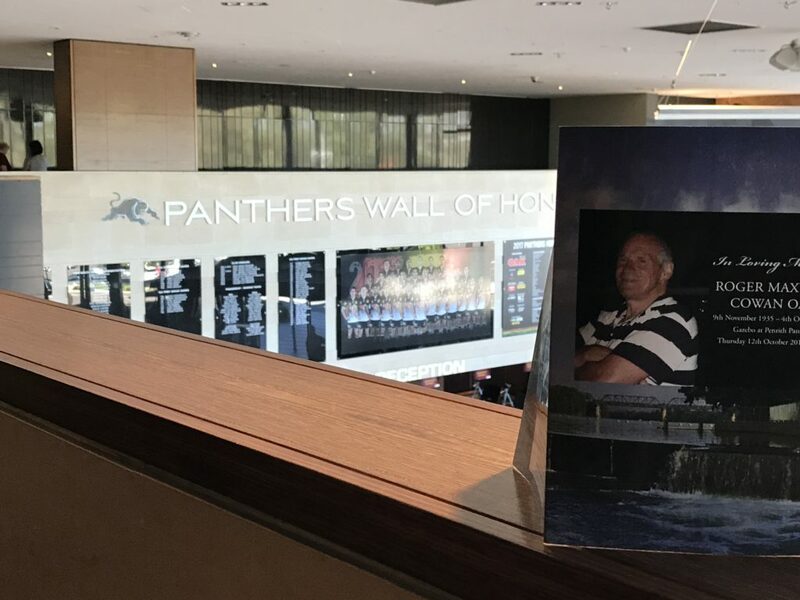 To me you will always be at the top of this Panthers Wall of Honour …. The BIG Panther with The BIG Panther ! Previous PostTHINK AGAIN ABOUT ADELAIDE – I WAS SHOCKED WITH WHAT I FOUNDNext PostMagic DOES HAPPEN When You REALLY Want It To.